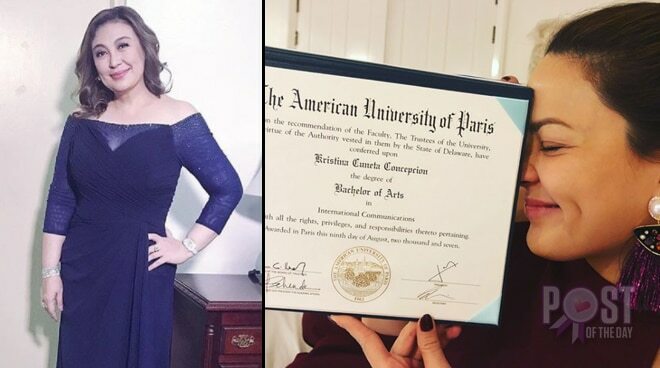 “Ten years after graduating from the American University of Paris, she finally picked her diploma up from her school. They had misspelled her last name with a ‘t,’ turning it into ‘Conception.’ They redid it and kept the diploma in the school vault all these years. “She gave it to her Mama on Christmas Eve. Mama is so proud and touched! I Love you, my baby KC! Thank you from the bottom of your loving Mama’s Heart,” the Megastar wrote in her post. After getting her diploma, KC reunited with her old friends and spent part of the holidays in Paris.